Home to over three thousand companies, the City of Industry lives up to its name. To protect the hard work of Industry’s business owners and employees, D&S Security offers the most cutting-edge alarm systems, video surveillance, and access control systems. Access control has come a long way from a simple deadbolt lock with keyed entry. D&S Security can install access control systems in your City of Industry office park that allow or deny access based on a security code, proximity to an ID badge, or biometric identifiers such as fingerprints, facial recognition, or retinal scans. We can even pair these with video surveillance, so you have a visual record of every person who accesses entry points to secure areas in your workplace. Alarm systems can be used to alert you of many different dangers: A fire alarm system detects smoke, warning you that your City of Industry enterprise could go up in flames. A burglar alarm signals that someone has breached the perimeter of your art gallery’s storeroom. Come to D&S Security to find the combination of alarm systems that work best for your business. We will assess your company’s security weak points, then equip you with the most up-to-date sensors and alarm systems to deter burglars, protect against fire, and ward off any other dangers that threaten your livelihood. Video surveillance has become incredibly advanced. 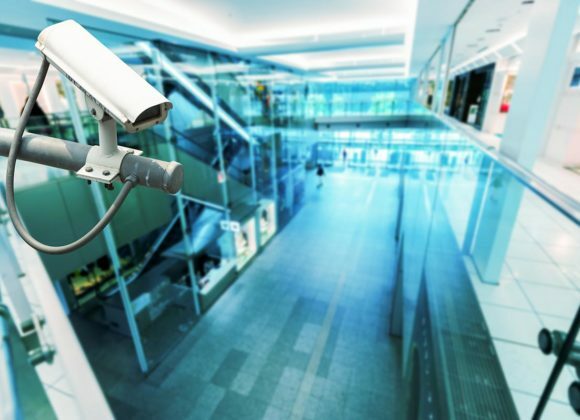 From a surveillance camera that can record footage in the low lighting conditions of your Bassett parking garage to CCTV systems securely accessible from a centralized server, D&S Security can outfit your business with the latest in video surveillance. A visible surveillance camera is a deterrent against theft and vandalism. D&S Security can rig a series of surveillance cameras to record video surveillance footage at each high-dollar display in your Rowland electronics store, or to monitor activity in the vast parking lots at Puente Hills Mall. The City of Industry started with cattle ranching in the mid-nineteenth century, when the Workman family was granted the land for Rancho La Puente. Since its incorporation in 1957, the City of Industry has remained almost entirely devoted to industry and manufacturing, with nearly seventy thousand jobs and only a couple of hundred residents. Today, many modern companies are headquartered in the City of Industry—including consumer computer and electronics dealer Newegg Inc., teen fashion retailer Hot Topic, and aerospace company Unical Aviation. As a leading security company in the greater Los Angeles area, D&S Security protects the flourishing business community in the City of Industry with the most effective, ultramodern security systems. For access control systems, burglar and fire alarm systems, video surveillance cameras and CCTV systems to secure your City of Industry business, call D&S Security today at 800-521-1958.